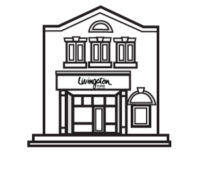 Repairs/Alterations | Livingston Furs Ltd.
One of the beauties of Real Fur, is that when sections of it rip, tear or wear out, they can be repaired, or replaced. If the edges of a cloth coat wear out, you throw it out. But most fur garments can be expertly repaired by our fine craftsman, and restored so that you can carry on wearing it for years. What could be a better choice, from a truly environmental viewpoint? Common Fur Repairs, include worn front edges, pocket edges, hems, linings, collars, etc. Furs are incredibly long-lasting, and so, naturally go out of style. (What other piece of clothing lasts so long, and is so ecologically-sound in that way?). “Your fur can be updated, or totally re-designed so that you won’t recognize it”, says Yael, Alan’s wife. “You want your garment to reflect the latest in fashion, and why not?” Our designers have clever ways of updating the style of your fur to adapt to new lifestyles. Common fur alterations include ‘taking down’ large shoulders, and putting in small pads giving today’s look; making the jacket or coat smaller or larger; giving a more tailored, or fitted look; shortening to the new 7/8 length, or shorter; and restyling the collar. Call us anytime for an appointment…or to ask questions. If our regular hours are not convenient for you, appointments at other times can be arranged.